As the cold weather is now officially in full swing and everyone is rooting out their winter woolies, I figured I would do a scan of the high street and online stores to see what they had to offer. I love Autumn and Winter styles and I find a stylish coat can literally save you from not only the weather but bad outfit choices too. A good coat that is not too fussy and can be mixed with a variety of outfits will save you so much time and hassle when you can just pop it on and go! Winter pastels are everywhere this season, so a coat is a great way to achieve this look. These coloured coats tend to be great for occasions where you want to look dressed up but still keep warm. Quilted Jackets are guaranteed to last you through each Winter, they are not something that is ever going to go out of style. Perfect for keeping you extra snug too! The boyfriend coat is one of the biggest trends this season. They are super flattering especially for those days your not feeling the slimmest. They hide a multitude of sins, ideal for the yummy Christmas food that is already hitting the shelves. The timeless trench is an investment every girl should make. They will always be stylish and will add a classic look to any outfit. There are loads of amazing trench coats out there but this one is such a bargain! 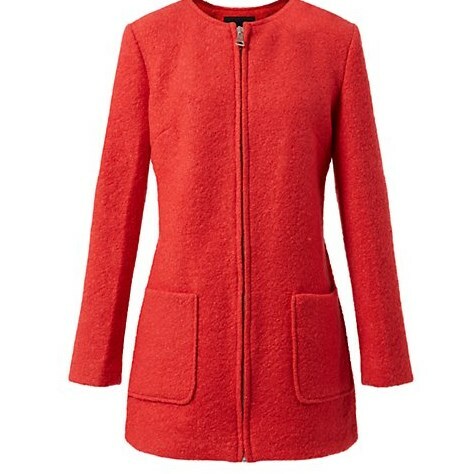 A wool coat will not only have you looking effortlessly glam, they are also great for keeping you warm. 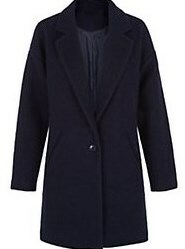 A wool coat will be a bit more expensive but it is a good investment and will last, provided you hand wash or dry clean. It’s not one for the washing machine! 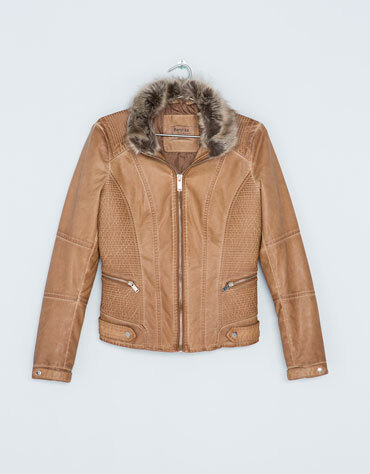 The leather jacket will last you all year round, just make sure you chose one that fits you well. Great with scarves, hats & gloves for the Winter or paired with a cute dress on a cool Summer’s evening. If you are opting for one with a fur collar, make sure the fur can be detached, so that you can wear it in the Spring and Summer too. Stand out from the crowd in an eye catching colour. 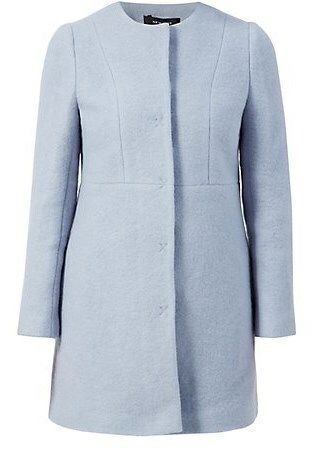 This cobalt coat will go with a variety of outfits and will instantly add a fresh appeal to any look. Keeping the rest of your outfit’s colours muted is key, nobody wants to look like someone puked a rainbow all over you! Also choose a colour you like and will get enough wear out of! As one of my previous posts highlighted; faux fur is ideal for Autumn and Winter. A good fake fur coat will take you from day to night paired with jeans or leather trousers. They also add a touch of glamour to a Christmas party dress! Collarless coats are excellent for adding a feminine appeal to any look. They are extremely girlie and cute and are an ideal cover-up for an event. They are also a great work wear look, perfect for keeping you warm and stylish on your way to the office. Tip: Don’t spend a fortune on a coat that is too drastic, yes that style may be in this season, but if its too extreme you may dislike it next season and where does it end up? Back of the wardrobe! This entry was posted in Fashion and tagged Autumn, boohoo, boyfriend coat, coats, collarless, fashion, highstreet, jackets, leather, leather jacket, missguided, newlook, pastel, River Island, style, stylist, trench coat, winter, wool, zara by ZOELEXA. Bookmark the permalink.